VMware Walkthrough for NSX: https://featurewalkthrough.vmware.com/t/nsx/ – If you are not familiar with the VMware Walkthroughs; this is essentially a guided tour of the products and features. 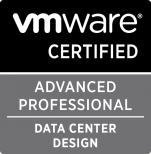 VMware® NSX for vSphere (NSX-V) Network Virtualization Design Guide: https://communities.vmware.com/docs/DOC-27683 – This design guide has recently been updated. Check this link and download the latest version. NSX-T Reference Design Guide: https://communities.vmware.com/docs/DOC-37591 – This design guide has recently been updated. Check this link and download the latest version. Network Heresy: http://networkheresy.com/ – This is the Who’s Who for network virtualization – Check out contributors! DailyHypervisor: http://dailyhypervisor.com/ – Complete SDDC and integration! I am certain there are many more blogs/links for NSX. If you have a favorite that I haven’t included, leave a comment and I will add them.